A personal religious text composed of magickal formulas, practices and secrets that are as alive as the ever evolving journey of the Witch that owns it. We love books, we love journals, and Books of Shadows make us swoon. It's not just the history and the collection of magic and potency they collect over time. It's the artistry of each Witch and how personal these tomes can be. Each Book of Shadows is a work of art. 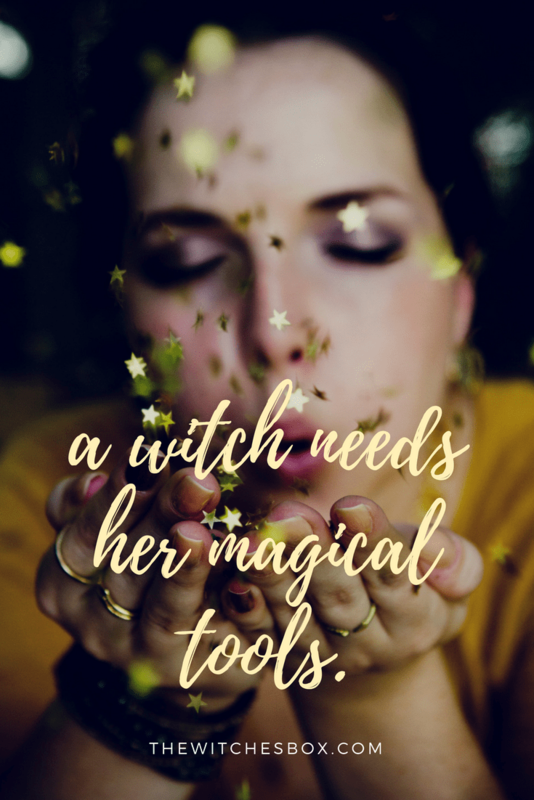 The Witches Box seeks to provide magickal tools on a monthly basis through the Subscription Box, regular missives of information on rituals, spells and the moon through the blog, and actual tangible Book of Shadow pages that hold the notes of our intentioned magick. Design, art, magick and love come together in the Book of Shadow pages we design for you. The intention is to share and nourish your books, give you ideas and provide the information that supports our collective and individual craft. Or they can become the beginning of a full collection we send out over time. Each month, new pages will be created that cover just about every aspect of magick and witchcraft. For The Witches Box newsletter members, there will be 2-3 free digital downloads provided each month. These are one sided, print quality, but also good if you want to create a digital book of your own. These pages will mainly be for correspondence and blank page designs so that you can add information of your own to your Book of Shadows. Yes! The free downloadable pages that members of the newsletter receive are a combination of blank page templates that you can print and fill out with your own information as well as basic foundational Witchcraft content. (Such as correspondences, symbolism of sabbath etc) The printed pages that are sent out in the subscription box will be specific to the tools and theme of each box and focused on spells, rituals and recipes for magick. Click button below, sign up for the FREE Newsletter and the passcode for the digital downloads will be sent to you. We ship all over the world + each box comes with both magickal tools and 5-8 gorgeously designed Book Of Shadow pages.